The current standard for evaluating diabetes treatments is typically the net impact a treatment has on a patient's hemoglobin A1c, but new research published in the October 2007 edition of Diabetes Care ("Patient Perceptions of Quality of Life With Diabetes-Related Complications and Treatments", Elbert S. Huang, Sydney E.S. Brown, Bernard G. Ewigman, Edward C. Foley, and David O. Meltzer, Diabetes Care 2007 30: 2478-2483.) suggests using reduction in hemoglobin A1c alone is really insufficient to evaluate how effective new treatments and treatment protocols are. Researchers from the University of Chicago have finally asked a question that clinicians have for too long ignored: treatment impacts perceived quality of life, too, and that impacts patient compliance. In essence, the researchers found that in many cases, patients believed the burden of managing their condition was as bad as (or worse than) some long-term diabetes complications. Thus, a major explanation for noncompliance: the perceived trade-off is really no better or worse than what patients are being asked to do on a daily basis in order to hopefully avoid long-term complications. Dr. Elbert Huang, M.D. and and his colleagues conducted hour-long face-to-face interviews with a multi-ethnic sample of 701 adult, type 2 diabetes patients attending Chicago area clinics between May 2004 and May 2006. Specifically, they asked patients to rank the benefits of various treatments and the daily quality-of-life burdens of diabetes-associated complications. 1. Diabetes medications have been approved without requiring proof of reducing the risk of complications associated with diabetes, such as heart attack, stroke, amputation, blindness and kidney dialysis. 2. The majority of diabetes trials focus on the ability of medications to reduce blood sugar, not on outcomes that matter to patients. 3. Diabetes medications may reduce the risk of complications, but we do not know this with confidence. 4. The focus should shift from getting new drugs to market to testing the effect of diabetes medications against outcomes important to patients. Both of these are very important findings because they mirror what many patients have long claimed: that the burden of disease management has an adverse impact on perceived quality of life, and that in some cases, that avoidance of complications comes at the expense, inconvenience and discomfort of constant therapeutic vigilance, particularly multiple daily insulin injections, and that the regimen's outcome may not always be sufficient to justify the effort. "The people who care for patients with a chronic disease like diabetes think about that disease and about preventing long-term complications," said study author Dr. Huang. "The people who have a chronic disease think about their immediate lives, which includes the day-to-day costs and inconvenience of a multi-drug regimen. The consequences are often poor compliance, which means long-term complications, which will then require more medications." According to the press, despite growing reliance on complex multi-drug regimens, large proportions of patients with type 2 diabetes continue to have poorly controlled glucose (20%), blood pressure (33%) and cholesterol (40%). Many patients found both complications and treatment onerous. Between 12 and 50 percent were willing to give up 8 of 10 years of life in perfect health to avoid life with complications, the authors found, while between 10 and 18 percent of patients were willing to give up 8 of 10 years of healthy life to avoid life with treatments. The University of Chicago researchers aren't the first ones to reach this conclusion, only the most recent ones. Almost a decade ago, Deb Butterfield (author of "Showdown with Diabetes") addressed this issue in her essay "The Diabetes Control and Complications Trial: What Did It Really Tell Us?". She concluded that "intensive therapy is a lofty theory that fails abysmally in practice." She noted that the two most significant points of failure are (1) human behavior, and (2) severe hypoglycemia. She concluded that perhaps the best test of the NIDDK's "behavioral theories and strategies" would be to follow 1,441 non-diabetic people over a period of 10 years as they try to comply with the regimen of injections, restrictions and uncertainty that is expected of the diabetic population. The conclusion would, she argued, likely be that "the regimen itself is unreasonable and that the co-morbidities of depression, eating disorders and family dysfunction are, after all, only human." Deb's writing in 1998 was considered radical thought back then, yet ironically, has been proven with this University of Chicago study. The bigger question is what clinicians will do with these findings? Medical dogma is incredibly slow to change, and it may take additional research proving this point before anyone accepts these findings. 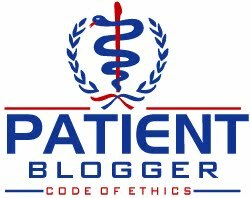 In the meantime, patient education is critical, but so too is patient willingness to comply, and that's an area many doctors and diabetes educators fail to incorporate into their clinical practice, and they ponder their approach and wonder why. Perhaps its worth it for doctors to consider adding some psychology CME credits to their continuing medical education? The majority of drug trials find that the drug under study makes a very small change in blood sugar. No oral drug has been shown to reliably lower A1c more than 1% in a population where mean A1c is around 10%. Type 2s MUST restrict carbs or use carefully prescribed basal/bolus insulin regimens. The recent EASD reports showed that when people with Type 2 are given insulin, they are given the wrong kinds dosed so they don't control blood sugar. Meanwhile, my email box is full of reports from people with Type 2 who cut way back on carbs and dropped A1c from 10% to 5%. Criminal that the ADA continues to militate against the one, effective strategy for Type 2: carb restriction. I totally agree with Jenny, controlling type 2 is a lifestyle change due to a tolerance built up against insulin. Type 1s are faced with a choice of following a demanding medical protocol or lossing limbs, eye sight, kidneys etc. However, Type 1 isn't much different than convincing a kid to study for a test - 10 years down the line that test may prevent him from getting the job they want or attending the college they desire but the future doesn't motivate as well as the present. Great post Scott. I agree that the issue has been ignored way too long.